Yesterday, it was announced that actor and musician Johnny Flynn would be playing a Ziggy Stardust-era David Bowie in Stardust, a new biopic about the late artist that would reportedly feature the singer’s music. Later that day, Bowie’s son, Duncan Jones, not only decried the film, but disputed some of the reported details about the project, namely that the filmmakers had rights to Bowie’s music. “Pretty certain nobody has been granted music rights for ANY biopic,” he wrote on Twitter. “I would know.” In a follow-up tweet, Jones clarified that the film, which comes from producers at Salon Pictures and Piccadilly Pictures, does not have the family’s blessing. Jones, a filmmaker himself, waved off comments that he should helm his own biopic about his father. “Genuinely, I’m not the right person to make it, he wrote. “My perspective is far too uniquely subjective and personal.” He does, however, know exactly who he’d like to see head up the project: One, Neil Gaiman, is a zeitgeist-defining sci-fi writer, while the other, Peter Ramsey, made one of 2018's best movies in Into The Spider-Verse. For Jones, an animated film encompassing the breadth of Bowie’s alter-egos is the way to go. Ramsey expressed interest. “I second that emotion, and I’m a huge Bowie fan.” Gaiman responded as well, offering a vague, “You are the best. Thank you.” He did, however, acknowledge how enticing the project was in response to a fan. While this isn’t good news for the Stardust team, it does breathe into the air what sounds like a genuinely compelling Bowie film project. 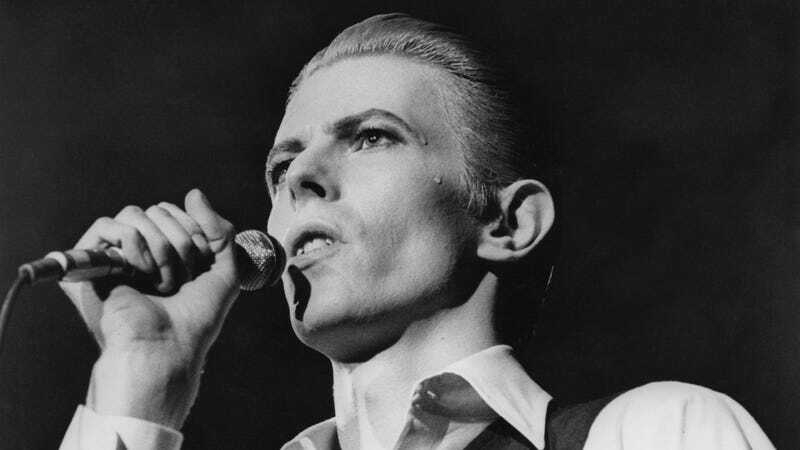 No mere biopic could capture what made Bowie special. A rule-breaking animated feature in the vein of Spider-Verse, on the other hand? That sounds cool as hell.